I know I was little late to make my summer bucket list but I was finally able to put it together. As my summer bucket list is handy now it’s time to get things done one by one. I don’t want to miss any moment to enjoy summer. I was so busy traveling, didn’t got much time to write but I am trying my best to share my experiences. The summer in California totally depends on where you are because inland is very hot and the bay area is warm and humid sometimes. The evening temperatures are quite bearable though and picnic spot which I found was just like a cherry on the top. 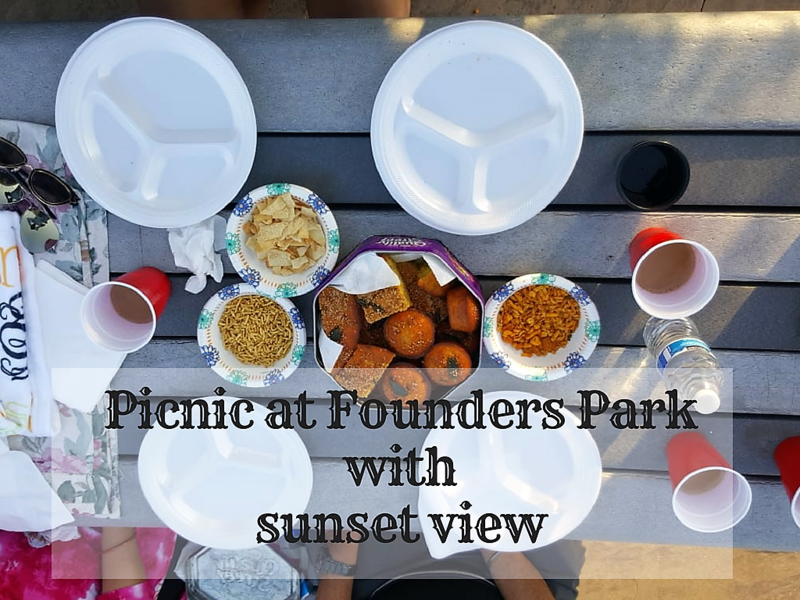 If you are staying around South Bay then picnic at founders park with sunset view will be the perfect evening for you. 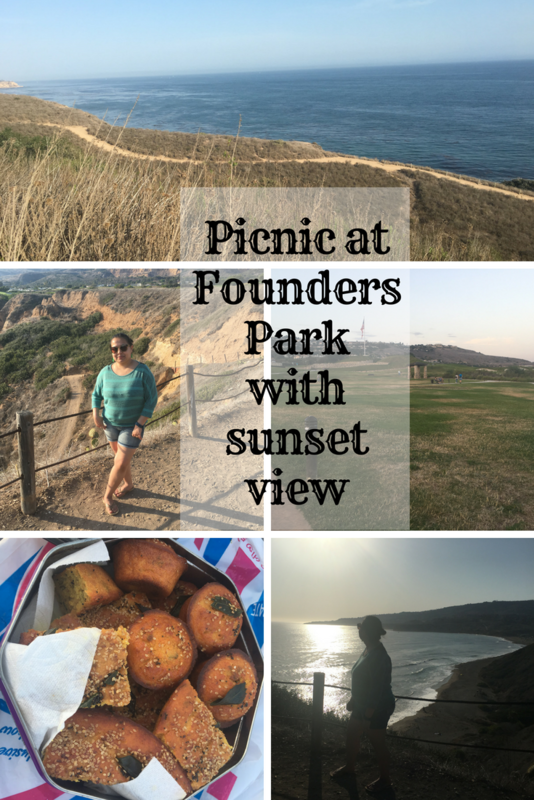 How to reach Founders Park? Once you take the turn from the main road to Trump National drive, you will feel like you are entering into the golf club but you will find a parking lot at the corner of golf club entrance. The parking is open to the public and free of charge. This park is a hidden gem and only locals know about it so you don’t have to fight for space no matter its holiday or weekend. 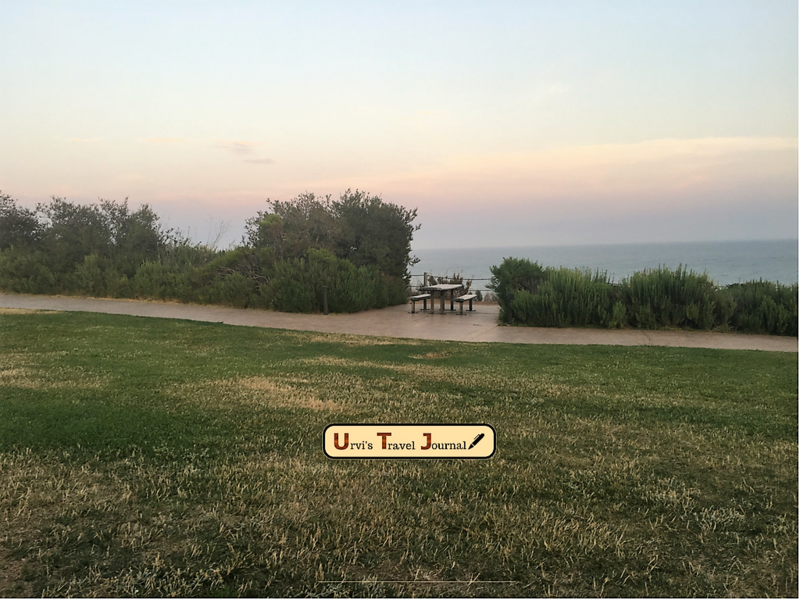 It also has beach access but the path is downhill and steep so better be careful. For beach going down is fun but coming back is quite a challenge. Besides the beach, there are other trails with scenic views. Even in the park, you will find a walkway so if you don’t feel comfortable going on trails then you can walk in the garden. Picnic tables are placed in such a way that you can enjoy the view from sitting on the table. Park is off the busy road so you won’t hear any noise. 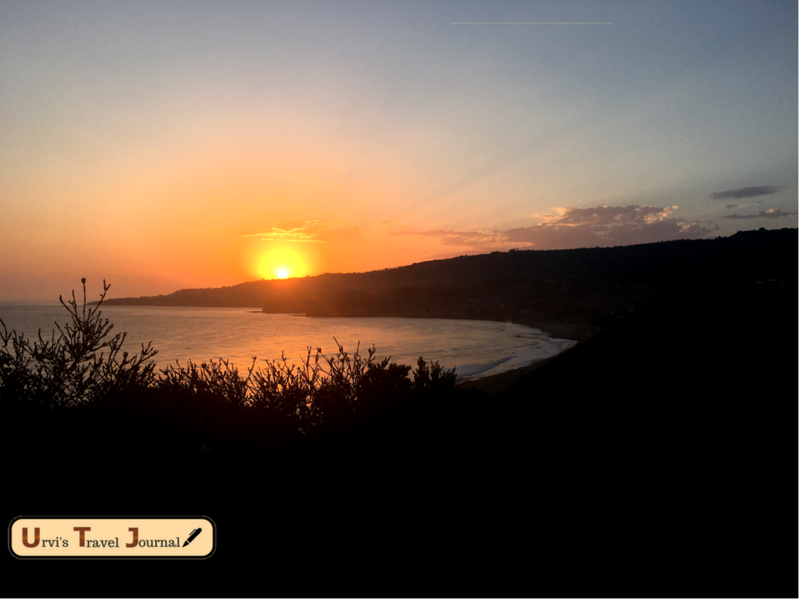 breathtaking views of the sunset and pacific ocean. The beach is less crowded and good spot for sunbathing and reading a book.